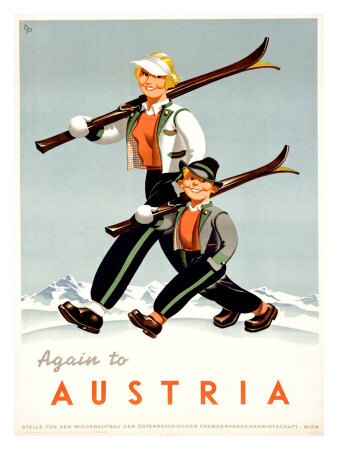 Austria holidays, Salzburg, Kaprun, Zell am See and so much more: Zell am See & Kaprun a visitors view. The contents of this article on Zell am See and Kaprun was written by Brian R Stevens came from "content Caboodle", where another one of Brian's articles can be found here, they give an interesting overview of first impressions of the Zell am See ski area. The links in the article I have put in to provide further information to the reader. Enjoy! which was once owned by the king of Bavaria but has now been converted into luxurious apartments which can be rented out as holiday lets. I was enjoying my stay at Lofer and in particular the quaint ski facilities there, which incidentally would be no challenge for anyone who considers themselves good intermediate or advanced level but is well worth a visit for curiosity's sake, it really is oldy worldy Austrian skiing facilities and you will not find much of a presence there beyond the Austrians themselves. The marked difference I noticed in visiting Zell am See was the level of activity there, lots more people, a thriving little town in a gorgeous setting and much more to offer the higher level skiers, still not a majorly serious challenge for the advanced skiers but certainly enough to keep them happy for quite a few days with some decent blacks and reds to go at. 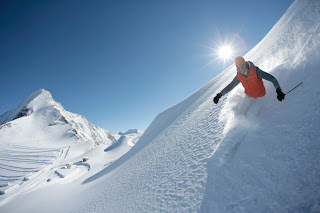 The resort in my opinion is much more suited to the intermediate level skier with plenty of reds and blues plus those blacks for when you want to give yourself a bit of a challenge, you should be able to ski from the top of the mountain to the bottom without too much trouble as well. The top of the mountain (called Schmittenhohe) gives you access to a number of runs which you can circuit and if you do prefer a longer run you can ski down to Schuttdorf and get lifts all the way back, or of course you can ski back to Zell am See or to the gondola. I class myself as intermediate and there was enough there for me to visit this resort on 3 separate occasions. It's not a bad resort for beginners either, other than if you want to ski all the way back to town then you might find it a bit tricky with some fairly steep slopes near the bottom that have to be negotiated, the alternative being some very shallow cross country tracks which can be really hard work and may put a lot of people off so they might decide to just come back to the bottom on the lift. That aside, the slopes at the top of the mountain do cater for beginners and if I was a beginner again I certainly wouldn't rule out Zell am See particularly if you are moving towards intermediate level, it may just present you with the challenges you need to get you to that next level. The addition of the ski lifts from the centre of town (in place for a few years now) has provided a much needed boost to the convenience level the resort has to offer, previously there was a long trek to the top of the hill going out of the town where you could get the gondola. This is still running and is serviced by a regular bus service or is accessible by people with a car available, personally I would not consider it walking distance from the town centre particularly if you are having to wear ski boots and carry skis, (although I am sure there are probably a number of people who could prove me wrong). If you do park at the gondola there is a sort of cross country track that goes out to it from the main piste (number 4) but there are sections of it that are actually flat to uphill and no decent run that lets your speed carry you through those sections, so a lot of puffing and panting goes on. The alternative is to come down some of the steeper slopes or to ski to the bottom and then get the bus back up. If you caught the bus or walked (mad fools) then there is no problem. Another bonus of staying at Zell am See is that you are pretty close to Kaprun, where if the worst occurs and there is no snow you have a glacier, although whenever I have been there snow has not been a problem. You are also quite close to Salbaach-Hinterglemm which is another great resort that has pistes either side of the valley where it is located, it also offers a few more challenges to the experienced and advanced level skiers as does Kaprun. Both of these resorts can be reached on the ski bus which can be used off the back of your ski lift pass at no extra charge, the ski pass also gives you free parking in the ski areas. If you have your own transport you can go visit Lofer which I mentioned earlier or you are also not too far away from, Bad Gastein, Bad Hofgastein, Wagrain, Schladming and Obertauern. I have to say I really enjoyed my skiing at Zell am See but I also really enjoyed the apres ski and evenings out as well, there are loads of bars and restaurants to choose from and the place has a real buzz to it. If you are there at the right time of year you might be lucky enough to see some of the traditional Austrian celebrations, for example the seeing out of the winter and welcoming in of the spring, I have memories of the band coming into the bar dressed as chickens and playing music aimed at getting everyone to have a good time and into the street to join in with the locals dancing. 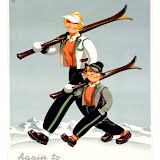 I hope you have found this review useful and that it has given you a flavour of one of my favourite ski resorts in Austria, I have skied in a few different places and countries, including Italy, Bulgaria, Germany and Canada but cannot think of anywhere that delivers the full package quite as well as Zell am See, although to be honest I would not knock any of the other places I have been to either all of them have their special characteristics and are also worth visiting in their own right"
To see another of Brian's article please click here on the link. If you like the area and are looking for for somewhere to stay? then please consider Austria holiday apartment it sleeps from 3-9 in comfort, and has the benefit of three bedrooms and 3 shower rooms.